9:30 a.m. - A guided journey through the picturesque Black Hills. The Sturgis Buffalo Chip® is the Largest Music Festival in Motorcycling®. 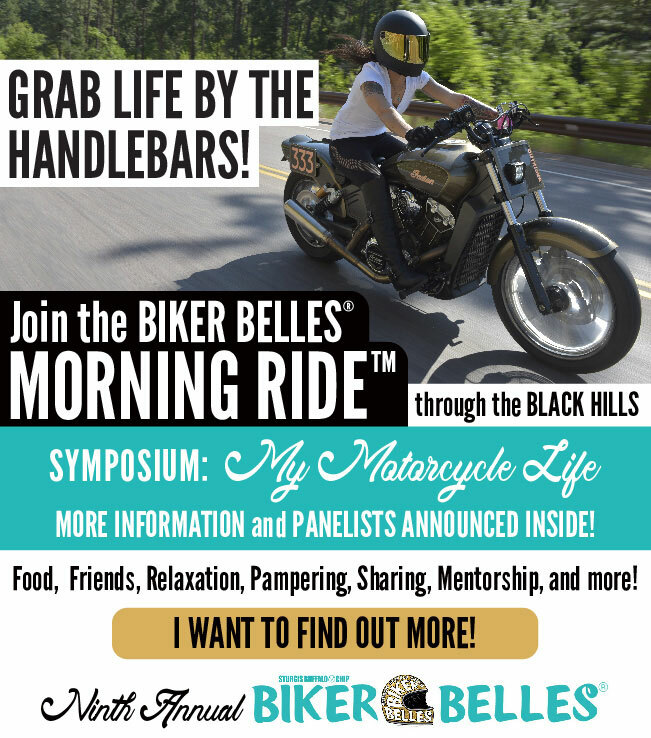 It is the world’s first and leading entertainment destination for the motorcycle enthusiast and 2017 South Dakota Excellence in Tourism Innovation award winner. Since 1981, the venue’s high-profile, nine-day festival, known as The Best Party Anywhere®, remains one of the world’s most televised and longest running independent music festivals. Located three miles east of Sturgis, SD on 600 creek-fed acres, it offers eight stages of entertainment, a swimming hole, bars, mouth-watering food, showers, cabins, RVs, camping and more to visitors traveling from all corners of the world. The Chip's concerts are free with camping. The 2017 Motorcycles as Art exhibit, “Old Iron/Young Blood - Motorcycles and the Next Gen” curated by Michael Lichter is free and open to the public. More details are available at www.BuffaloChip.com.